Little is known about Frank Muller. He was born on Sep. 10, 1862 in Virginia, USA. 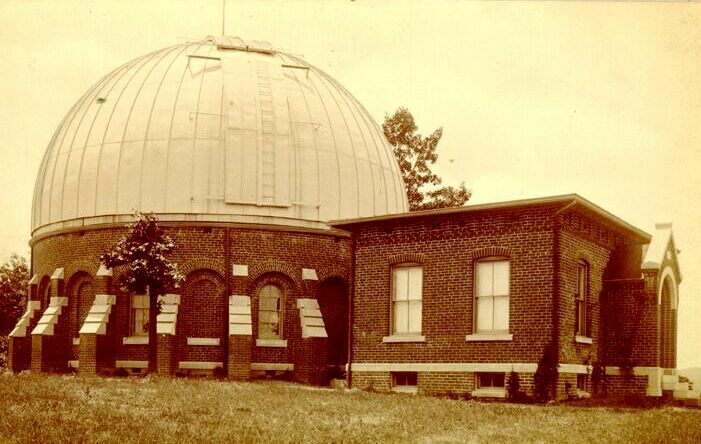 Around 1885 he entered the new Leander McCormick Observatory, Charlottesville, Virginia (founded in 1882; see picture) to assist Ormond Stone (first director 1882-1912) and Francis Leavenworth. 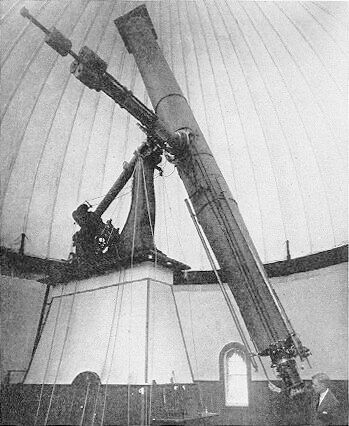 In 1885-86 Muller observed double stars with the new 26¼" refractor (f/14.9), made by Alvan Clark & Sons and installed in 1885 (see picture); the results are published in Publ. Leander McCormick Obs. Vol. I, 45 (1915). From 1886-87 he was involved in the micrometric observations of "new nebulae", together with Stone, Leavenworth and Parrish. 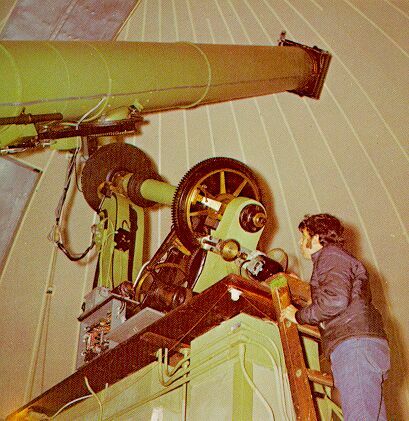 While working as an observer he was much interested in comets and orbit caluculation. In 1888 he got his PhD from the University of Virginia (the first one in Astronomy), titeled Definitve Determination of Comet 1887 IV and published in AJ 8, 44 (1888). Muller died on April 19, 1917 at an age of 54 and is burried on Warrenton Cemetery, VA.
Muller found 89 NGC- and 14 IC-objects; 86 NGC- and all IC-objects were new. All were found 1886-87 and published by Stone.